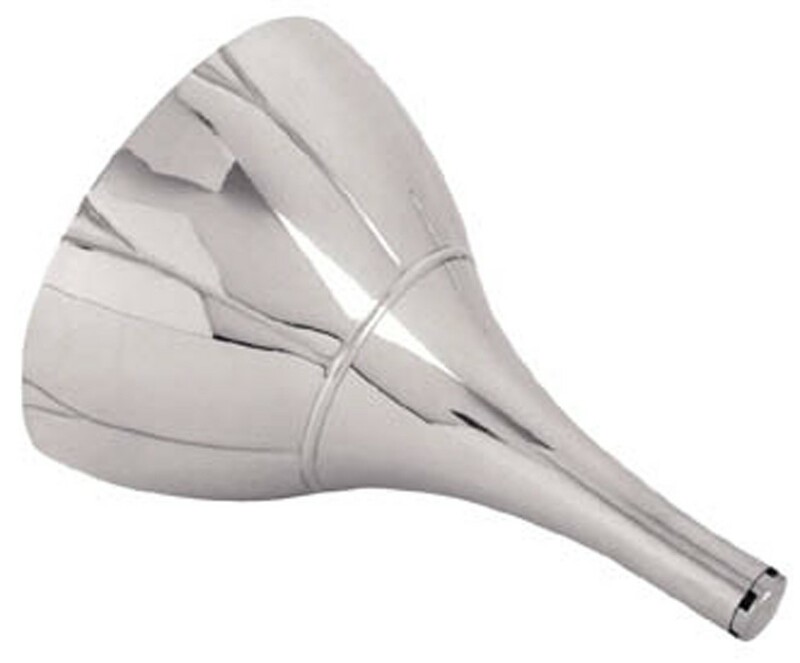 This funnel in bright pewter also carries the fluted theme. It is designed with a 'soft launch' spout which has five small openings for the wine to pour out of. This is to promote maximum aeration of the wine whilst gently cushioning its descent into the decanter. This prevents the contents from 'bruising' and thus altering the quality of the wine. 9cm diameter and 12cm high.